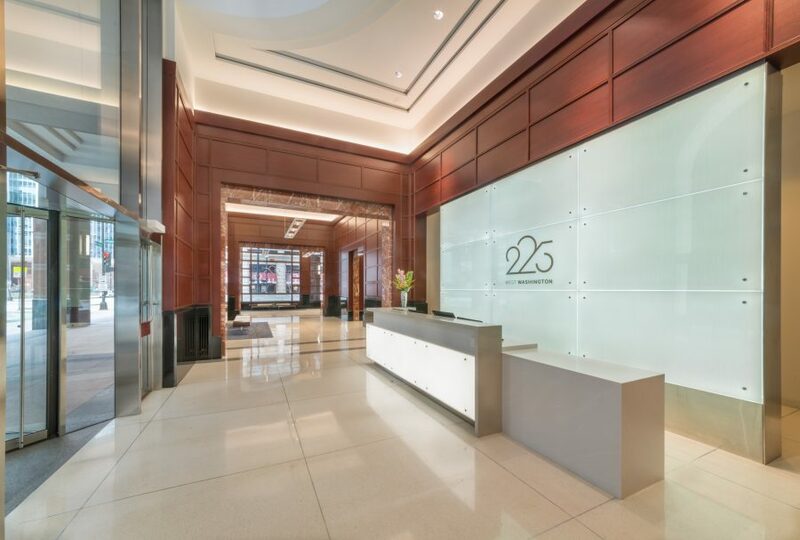 225 W Washington is a 28-story, 483,497 RSF, Class A office building located in Chicago’s West Loop. 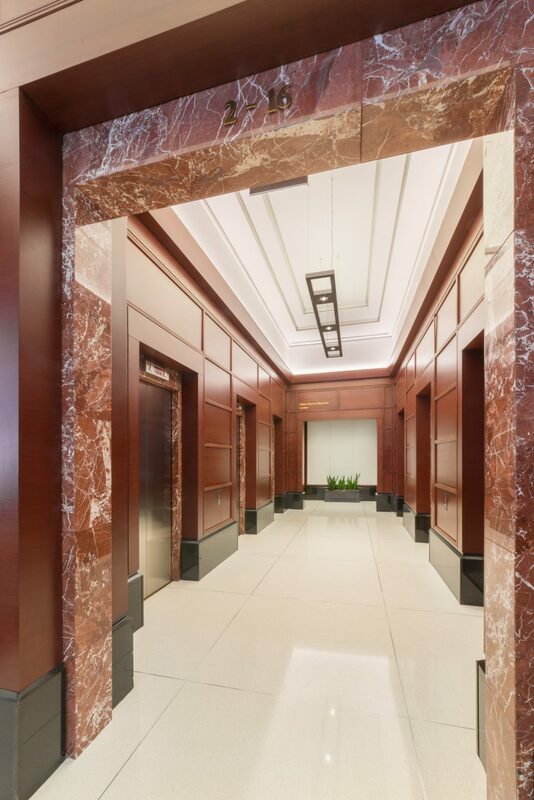 The property is highly recognizable by its distinctive design, which incorporates rich granite, marble and mahogany materials. 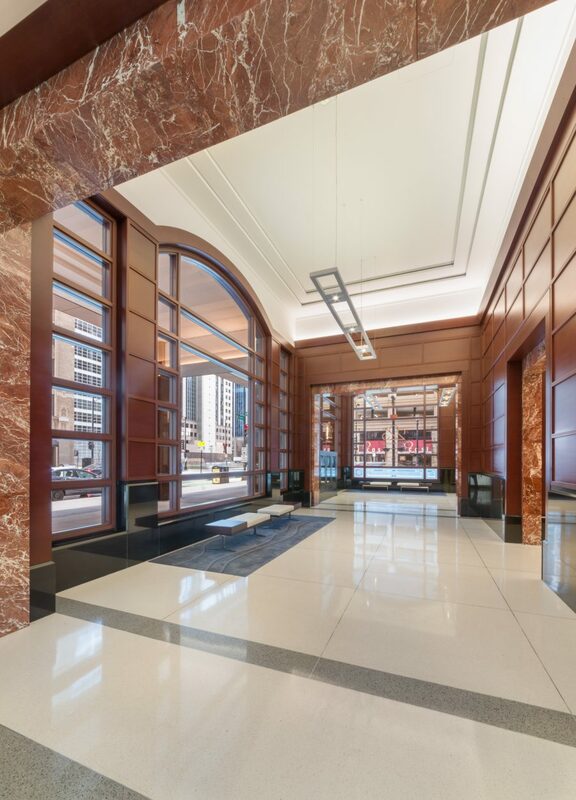 Golub Realty Services sought to renovate 225 W Washington in order to drive a strong market interest and compete with its Class A counterparts. 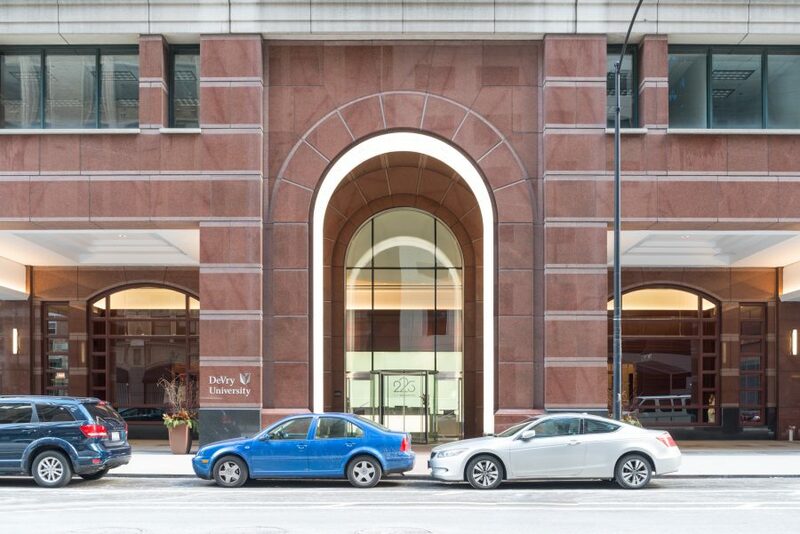 WHA updated the exterior arcade and lobby in order to give the building a greater street presence and a clearly defined entrance. 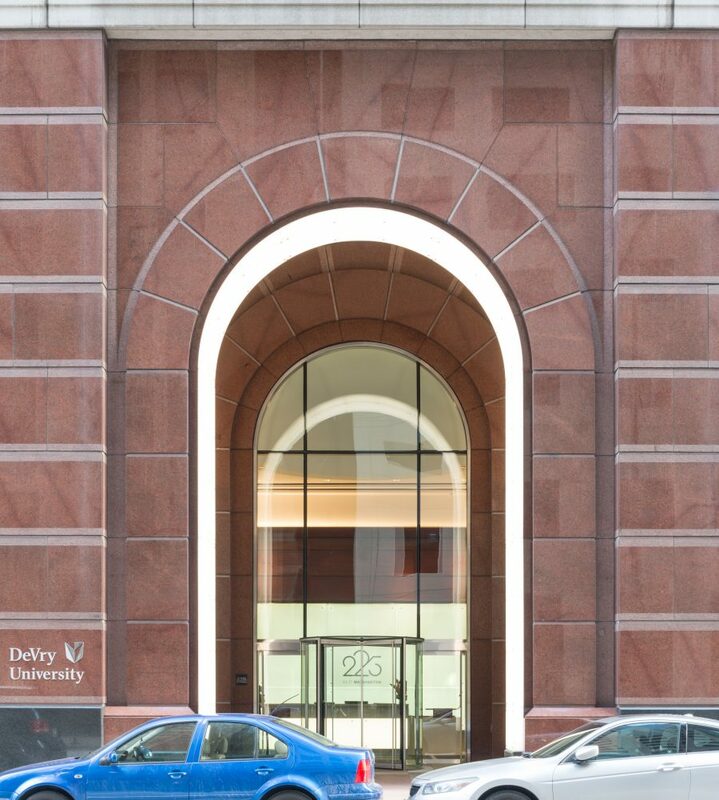 To draw attention to the building, a back lit white arch was placed at the entrance. A new, relocated reception desk helped create a more welcoming feel upon entering the lobby. Branding displayed above the reception desk is clearly visible from the outside looking in, and new flooring and lighting were installed to brighten and modernize the space. These updates offered significant improvements and helped increase the building's value.